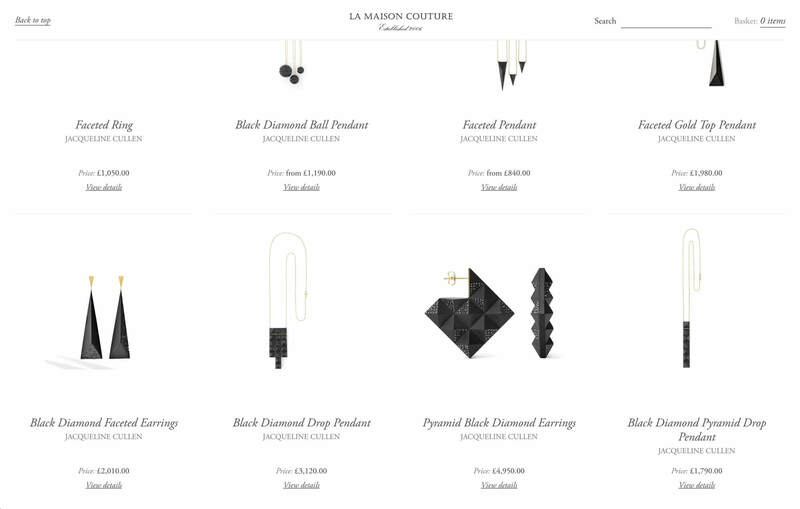  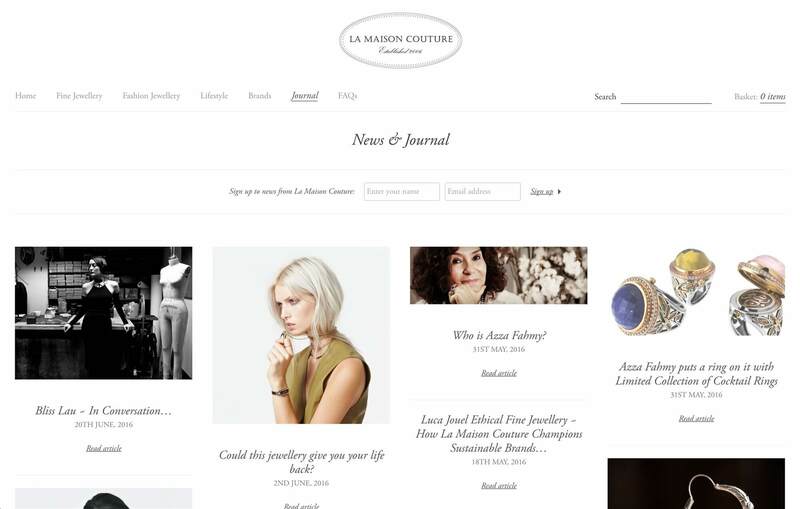 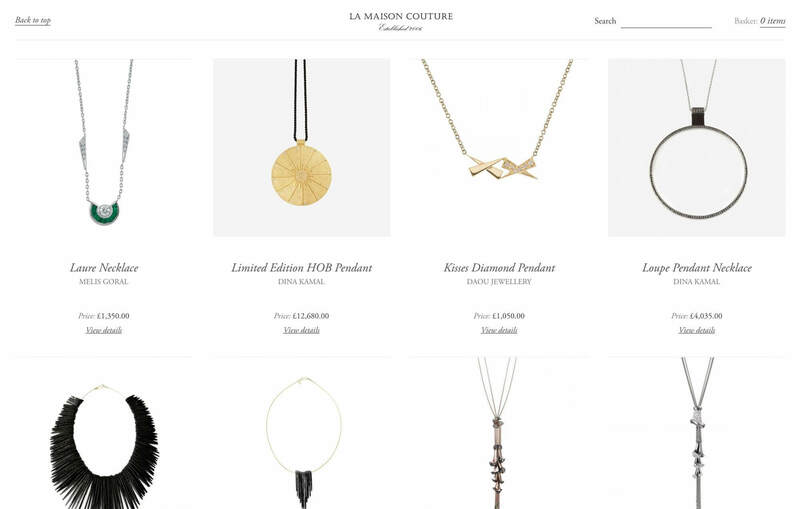 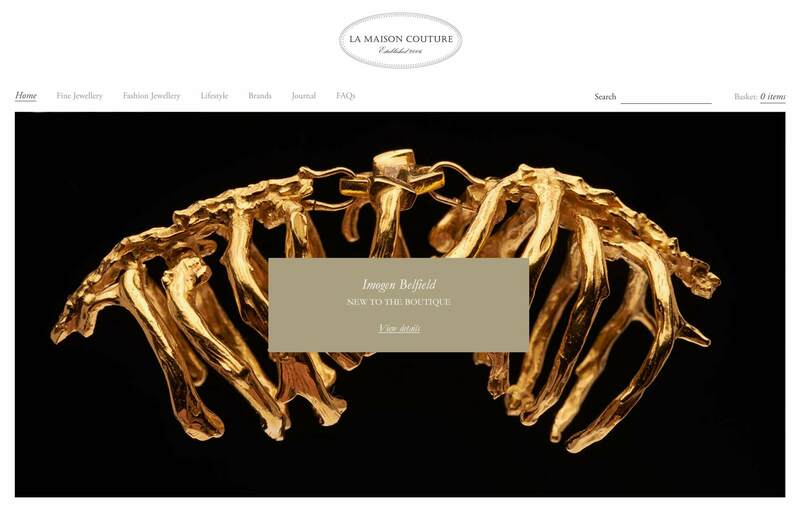 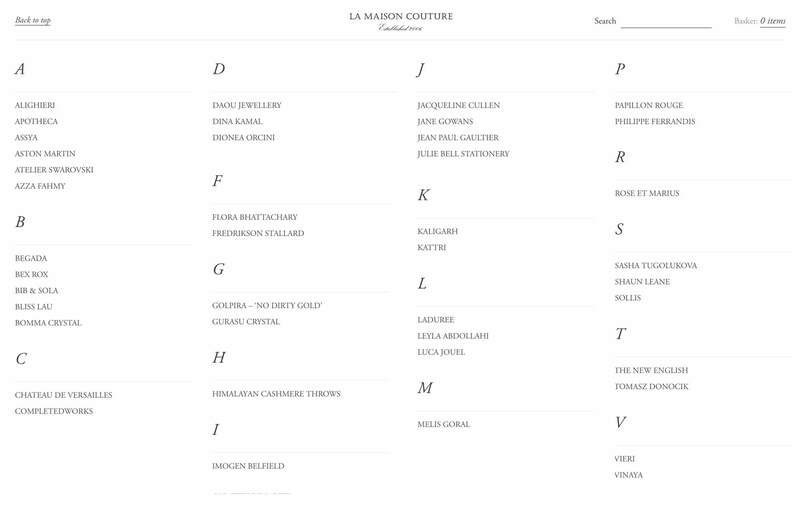 La Maison Couture showcases and retails a curated selection of some of the finest high-end and fashion jewellery the world has to offer. 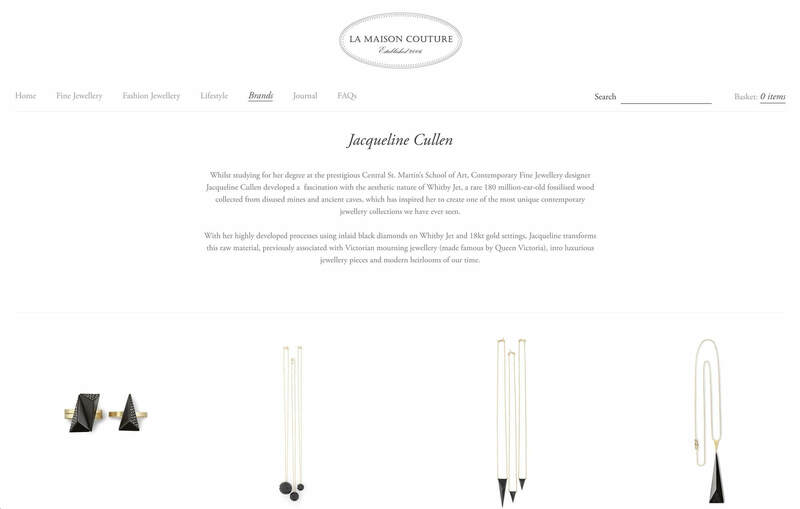 The web site gives customers the opportunity to browse and buy some of the most beautiful and alluring contemporary jewellery created by inspiring designers such as Azza Fahmy, Completedworks, Jacqueline Cullen, Dina Kamal and Tomasz Donocik. 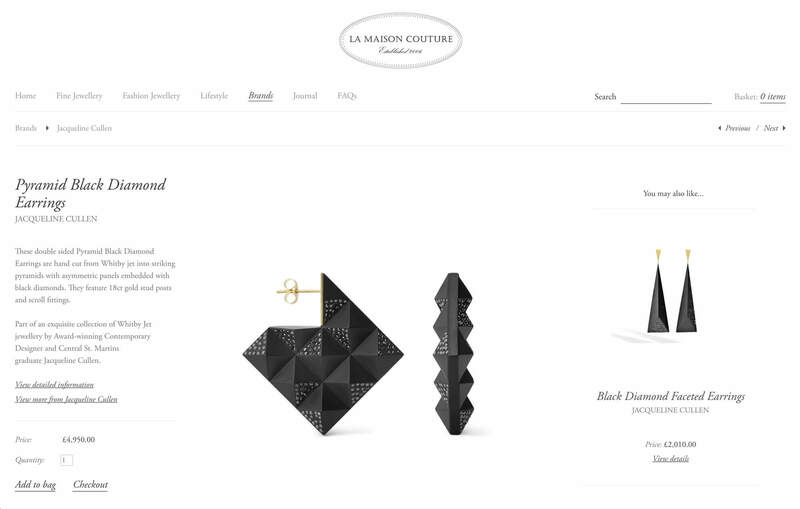 Having built their original site back in 2008, in 2015 we were commissioned to refine and simplify the brand identity, helping to refocus the business and to design and produce their new online store. 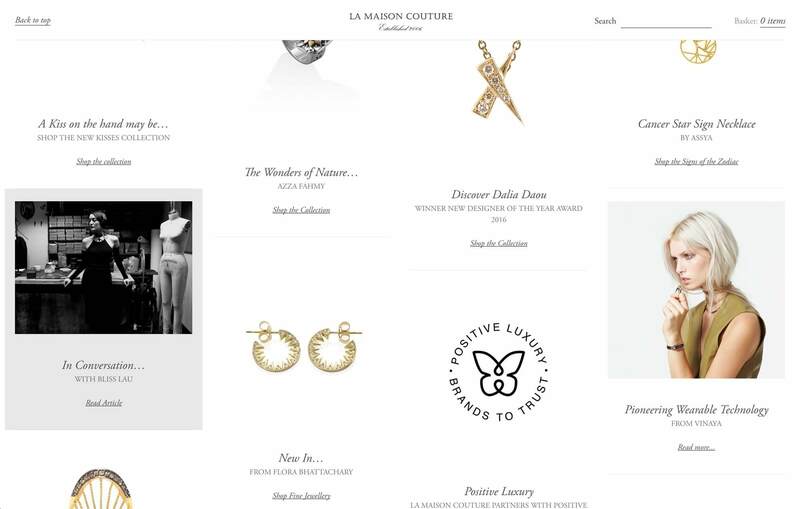 We developed a complete new look, providing new clarity and focus for the site and on the exclusive and unique brands they provide access to.